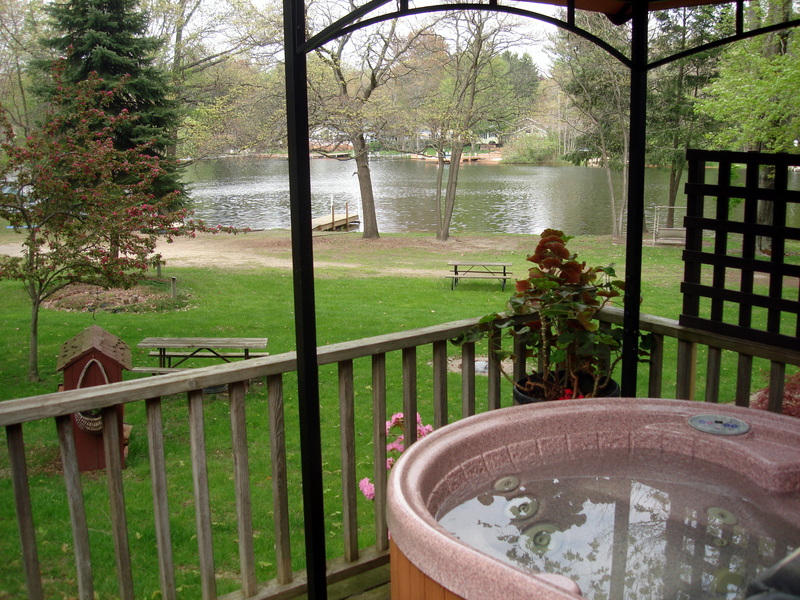 All resort reservations are handled by Shores of Saugatuck Douglas From our Saugatuck Hideaway website, just click on the photo of Goshorn Lake 91 to be taken to their website which has full details on rates and policies. 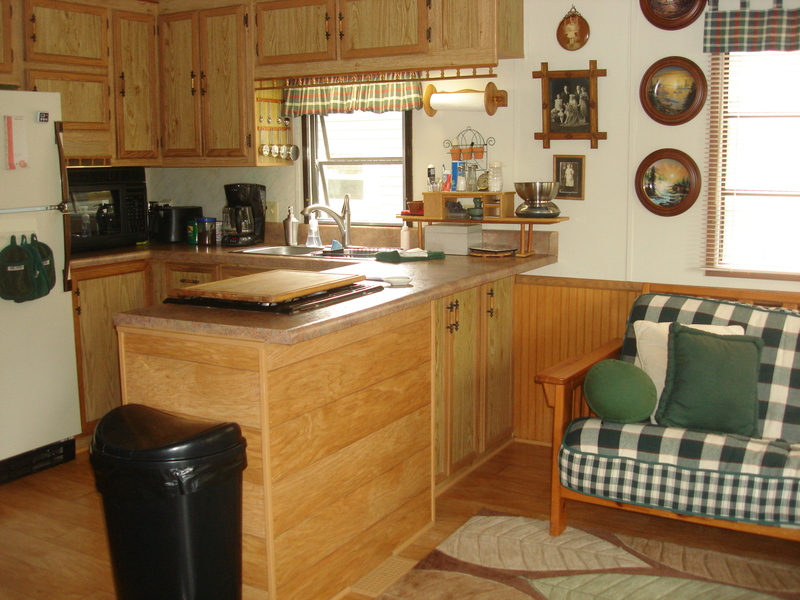 Goshorn Lake 91 is the place for you. 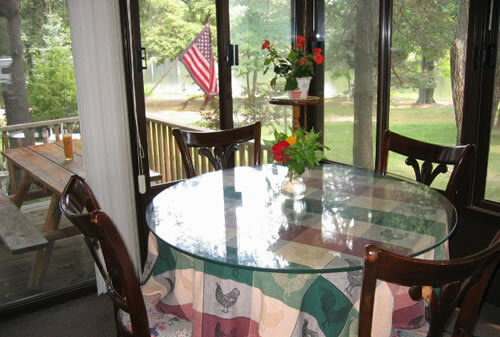 A workspace with high speed internet overlooking the lake makes doing a bit of work a breeze. 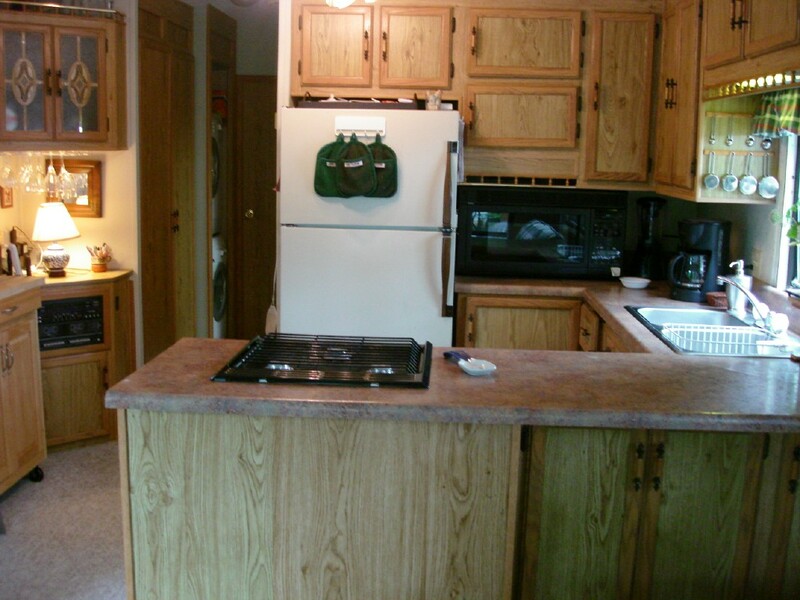 The newly remodeled & well appointed kitchen space makes meal preparation a joy for those who love to cook on vacation and the large front deck with gas grill and picnic table are perfect for outdoor dining. 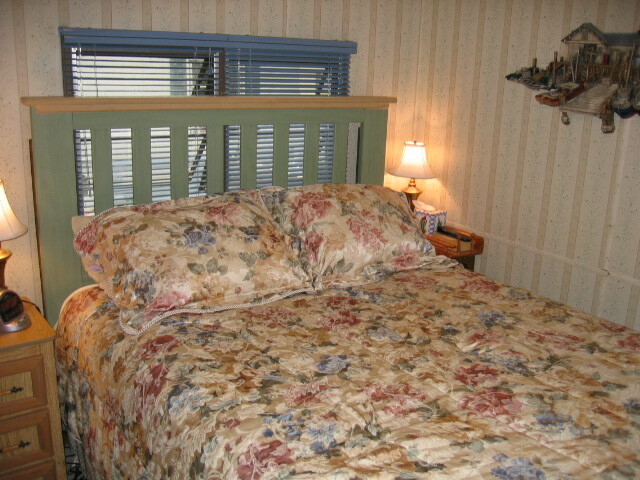 The bedroom offers a queen bed, flat screen cable TV/DVD, and air conditioning. 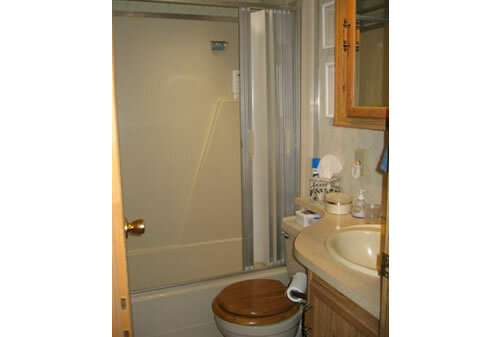 There is a full bath and laundry facilities. 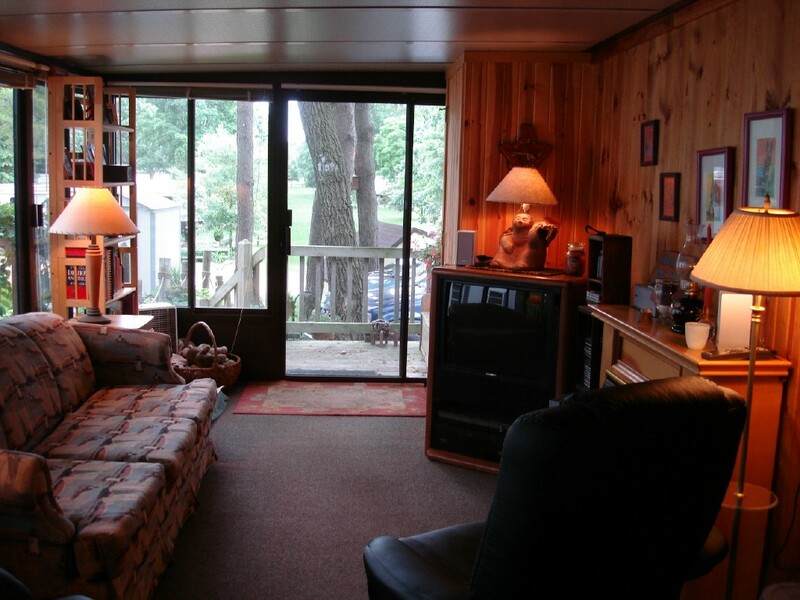 The dining area and living room offers additional sleeping space with a futon couch. 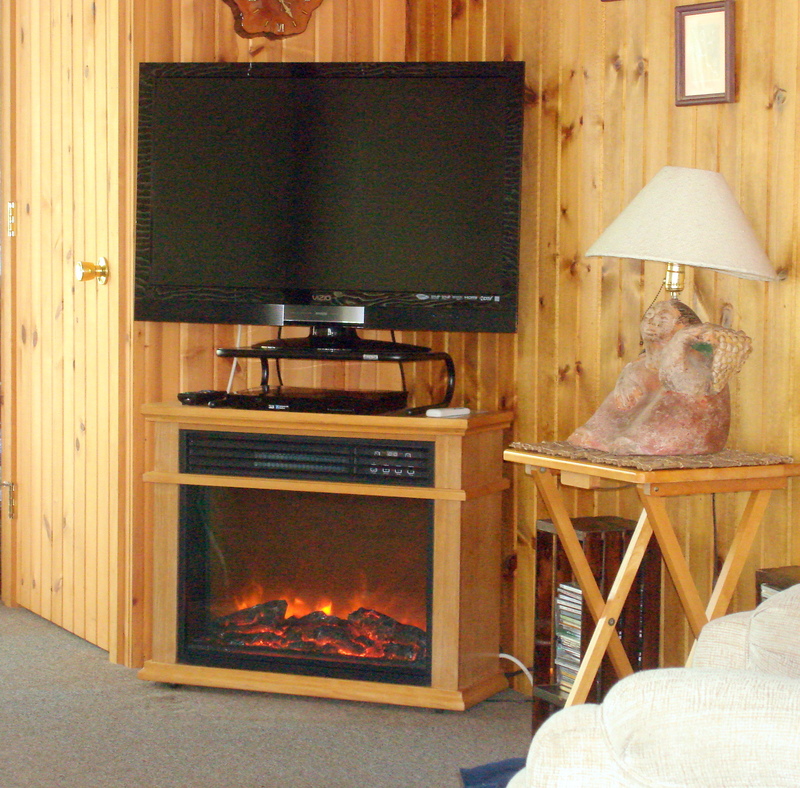 An additional TV & electric fireplace are located in the 3 season porch, offering beautiful views of Goshorn Lake and the SRVR greenway. 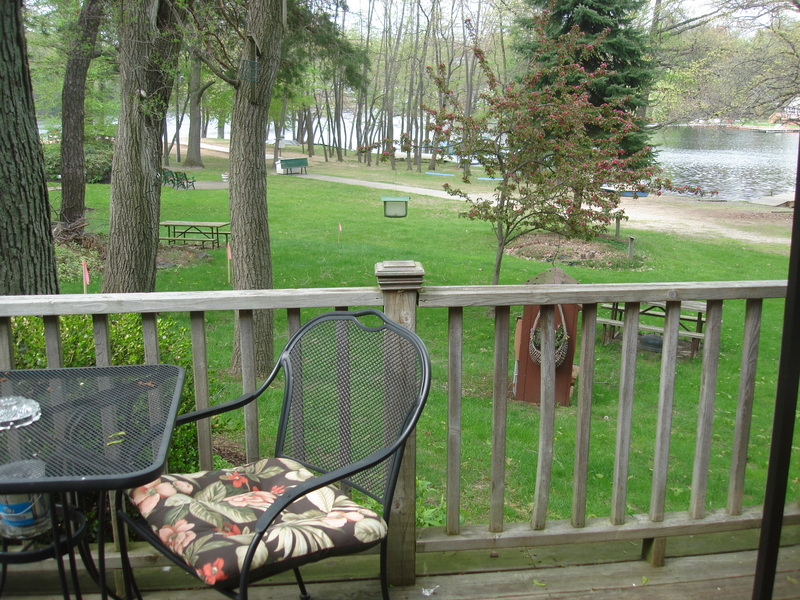 Fish from the dock or row boat, relax in the sun on the beach, swim in the crystal clear lake, and then stroll up to the ice cream store for a treat, for the full summer experience...with all that Goshorn Lake #91 offers, we guarantee you won't want to go home! 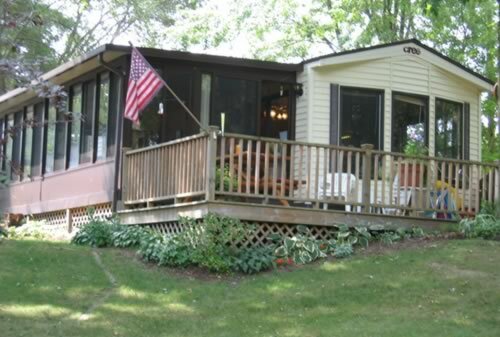 This unit is located within the Saugatuck RV Resort. 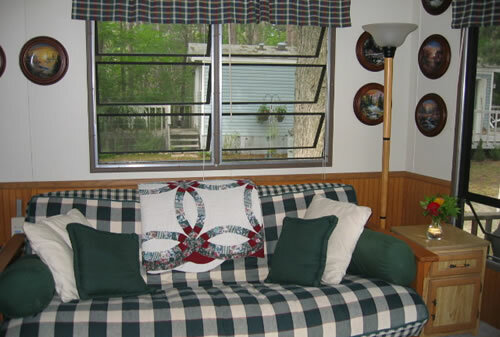 Rules and regulations of the resort apply to all rentals. Please see our website for full, printable policies and procedures.